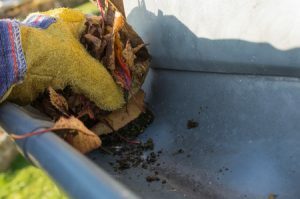 Getting ready to do some spring gutter cleaning? If so, there’s a good chance you’ll need to use a ladder. 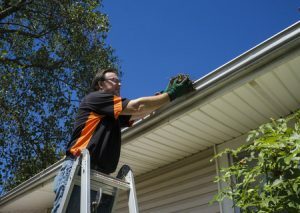 But before you climb a ladder to clean your gutters, there are a few basic safety guidelines you should keep in mind to prevent accidents and injuries. Stay off the ladder when you don’t feel well or when the weather is bad. 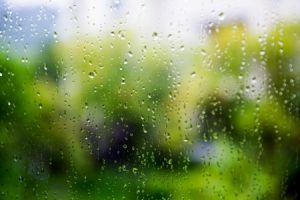 If you’re tired or dizzy on the day you plan to clean out your gutters, you should consider postponing the job for another day. You may be more susceptible to losing your balance and falling off the ladder when you’re not feeling well. You should also stay off the ladder whenever it’s windy or stormy outside; accidents are more likely to happen in inclement weather. It’s also important to be mindful of your choice of footwear when climbing a ladder. You should never wear sandals, unlaced sneakers or any shoes with slippery bottoms. It’s best to wear a pair of sneakers with soles that are advertised as being slip-resistant. This will help you maintain a secure footing as you move up and down the ladder. Inspect your ladder for signs of wear and tear. 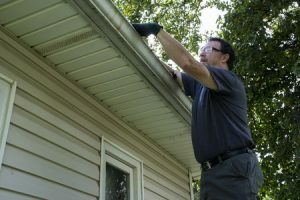 Make sure your ladder is in good working order before cleaning out your gutters. Inspect all of its joints and moving parts to make sure they’re securely in place. You should also check the ladder’s weight restrictions to make sure it can support the weight of both you and your cleaning equipment. Place your ladder on firm, level ground. The condition of the ground you place your ladder on is just as important as the condition of the ladder itself. The ground supporting your ladder should firm, level and dry. You should also recruit a friend or family member to stand at the bottom of the ladder and keep an eye out for signs of trouble as you climb. 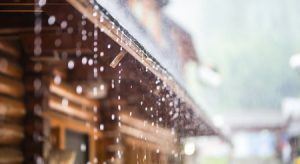 If you’re tired of cleaning debris out of your gutters every spring and fall, you might want to consider investing in gutter guards as well! To learn more about how gutter guards can help keep twigs, leaves and other refuse out of your gutters, give us a call or contact us online today!